Summary Safety of pharmacotherapy during pregnancy is of paramount importance for the woman and the fetus. There is an increasing number of pediatric diseases with unclear or presumably genetic etiology (autism, mental illness, oncology, obesity, diabetes, etc.). In this respect, more attention is being paid to the epigenetic or fetal programming, and the safety of pharmacotherapy during the gestation period and lactation, as well as 3-9 months before conception (periconception period). Dzhobava Eliso Murmanovna – MD, Professor. 1. Sachdeva P., Patel B.G., Patel B.K. Drug use in pregnancy; a point to ponder! Indian J Pharm Sci. 2009; 71 (1): 1-7. 2. Clinical pharmacology: national guideline [Klinicheskaya farmakologiya: nacional'noe rukovodstvo (Pod red. Yu.B. Belousova, V.G. Kukesa, V.K. Lepahina, V.I. Petrova)]. Moskva: GEOTAR-Media. 2009: 976 s (in Russian). 3. Cappell M.S., Friedel D. Abdominal pain during pregnancy. Gastroenterol Clin N Am. 2003; 32: 1-58. 4. Elizavetina G.A., Minushkin O.N. Rational approach to the choice of antispasmodics for relief of abdominal pain [Racional'nyj podhod k vyboru spazmolitikov dlya kupirovaniya abdominal'noj boli]. Consilium medicum. 2011; 8: 57-60 (in Russian). 5. State Register of Medicinal Products. URL: www.grls.rosminzdrav.ru (in Russian). [Accessed: 05.03.2018]. 6. Lugnier C. Cyclic nucleotide phosphodiesterase (PDE) superfamily: A new target for the development of specific therapeutic agents. Pharmacol Ther. 2006; 109 (3): 366-98. 7. Clinical pharmacology: textbook [Klinicheskaya farmakologiya: uchebnik (Pod red. V.G. Kukesa)]. Moskva: GEOTAR-Media. 2013: 1056 s (in Russian). 8. Cherkasova N.Yu., Fomina A.V., Filippova O.V. Analysis of medicines market for dysmenorrhea treatment [Analiz rynka lekarstvennyh sredstv dlya lecheniya dismenorei]. FARMAKOEKONOMIKA. Sovremennaya farmakoekonomika i farmakoepidemiologiya. 2013; 6 (3): 36-40 (in Russian). 9. Instructions for medical use of Papaverine, suppositories rectal [Instrukciya po medicinskomu primeneniyu lekarstvennogo preparata Papaverin, suppozitorii rektal'nye]. Registracionnyj nomer LP-003815. URL: www.lsgeotar.ru/papaverin-16209.html (in Russian). [Accessed: 05.03.2018]. 10. Leonova M.V. Place of drotaverin among modern spasmolytics [Mesto drotaverina sredi sovremennyh spazmolitikov]. RMZh. 2011; 19 (17): 1100-6 (in Russian). 11. Instructions for medical use of drug No-Spa®, tablets [Instrukciya po medicinskomu primeneniyu lekarstvennogo preparata No-Spa®, tabletki]. Registracionnyj nomer P N011854/02-050713. URL: medi.ru/instrukciya/no-shpa-tabletki_1524/ (in Russian). [Accessed: 05.03.2018]. 12. Unanyan A.L., Alimov V.A., Arakelov S.E., Afanasyev M.S., Baburin D.V., Blinov D.V., Guriev T.D., Zimovina U.V., Kadyrova A.E., Kossovich Yu.M., Polonskaya L.S. Pharmacoepidemiology of original drotaverine use in dysmenorrhea: the results of international multicentre study [Farmakoepidemiologiya ispol'zovaniya original'nogo drotaverina pri dismenoree: rezul'taty mezhdunarodnogo mnogocentrovogo issledovaniya]. FARMAKOEKONOMIKA. Sovremennaya farmakoekonomika i farmakoepidemiologiya. 2014; 7 (3): 44-50 (in Russian). 13. Dizhevskaya E.V. Exchange of scientific data and expert opinions on pharmacotherapy and during pregnancy: traditional and modern approaches. III International Expert Council on Magnesium Deficiency in Obstetrics and Gynecology [Obmen nauchnymi dannymi i ekspertnymi mneniyami po farmakoterapi i v techenie beremennosti: tradicionnye i sovremennye podhody. III Mezhdunarodnyj ekspertnyj sovet po problemam deficita magniya v akusherstve i ginekologii]. Akusherstvo, ginekologiya i reprodukciya. 2015; 9 (4): 93-101 (in Russian). 14. Maklári L., Tury P. NO-SPA® in the oxyological practice for the treatment of abdominal spastic conditions and acute cardiovascular cases. Ther Hung (English edition). 1989; Special issue: 3-20. 15. 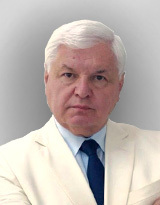 Gavrilov A.S. Pharmaceutical technology. Manufacturing of medicines: textbook [Farmacevticheskaya tekhnologiya. Izgotovlenie lekarstvennyh preparatov: uchebnik]. Moskva: GEOTAR-Media. 2010: 624 s (in Russian). 16. Rectal, vaginal, and uteral delivery. In: Gibaldi's Drug Delivery Systems in Pharmaceutical Care [Eds. A. Desai, M. Lee]. American Society of Health-System Pharmacists. 2007: 95-103. ISBN-13: 9781585281367. 17. Czeizel A., Rácz J. Evaluation of drug intake during pregnancy in the Hungarian CaseControl Surveillance of Congenital Anomalies. Teratology. 1990; 42 (5): 505-12. 18. Czeizel A.E., Rockenbauer M. The evaluation of Drotaverine intake during pregnancy on fetal development. Prenat Neonat Med. 1996; 1: 137-46. 19. Medveczky E., Puhó E., Czeizel E.A. The use of drugs in mothers of offspring with neuraltube defects. Pharmacoepidemiol Drug Saf. 2004; 13 (7): 443-55. 20. Glagoleva E.A., Mikhailova O.I., Balushkina A.A. Methods of preparing the cervix for childbirth [Sposoby podgotovki shejki matki k rodam]. RMZh. 2010; 18 (9): 613-6 (in Russian). 21. Myers K.М., Feltovich H., Mazza E. et al. The mechanical role of the cervix in pregnancy. J Biomech. 2015; 48 (9): 1511-23. 22. Timmons B., Akins M., Mahendroo M. Cervical Remodeling during Pregnancy and Parturition. Trends Endocrinol Metab. 2010; 21 (6): 353-61. 23. Mahendroo M. Cervical remodeling in term and preterm birth: insights from an animal model. Reproduction. 2012; 143 (4): 429-38. 24. Leroy M.J., Lugnier C., Merezak A. et al. Isolation and characterization of the rolipram-sensitive cyclic amp-specific phosphodiesterase (type IV PDE) in human term myometrium. Cell Signal. 1994; 6 (4): 405-12. 25. Tripti N., Jyoti J. To compare and evaluate the efficacy and safety of drotaverine and valethamate bromide. J Obstet Gynecol. 2009; 59 (4): 324-31.